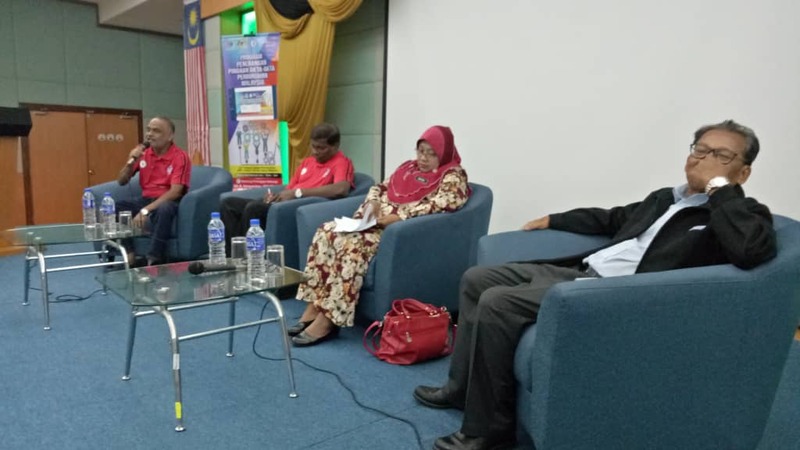 The program is a collaboration between the MTUC, the Ministry of Human Resources, the ILO and is also funded by the Solidarity Center. 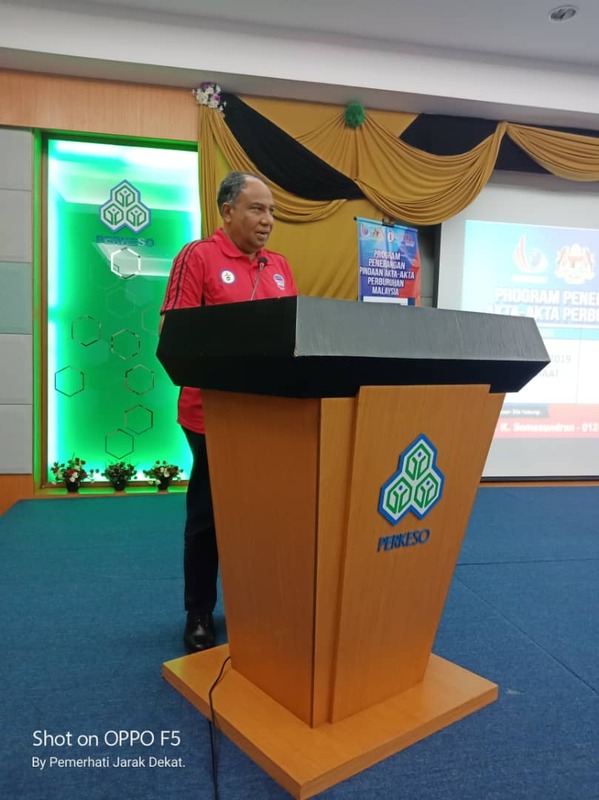 For the program in Kuantan, we are grateful and thanked the Wisma Perkeso Director, Tuan Haji Abu Hurairah for allowing us to use the hall and also provide free meals / drinks. 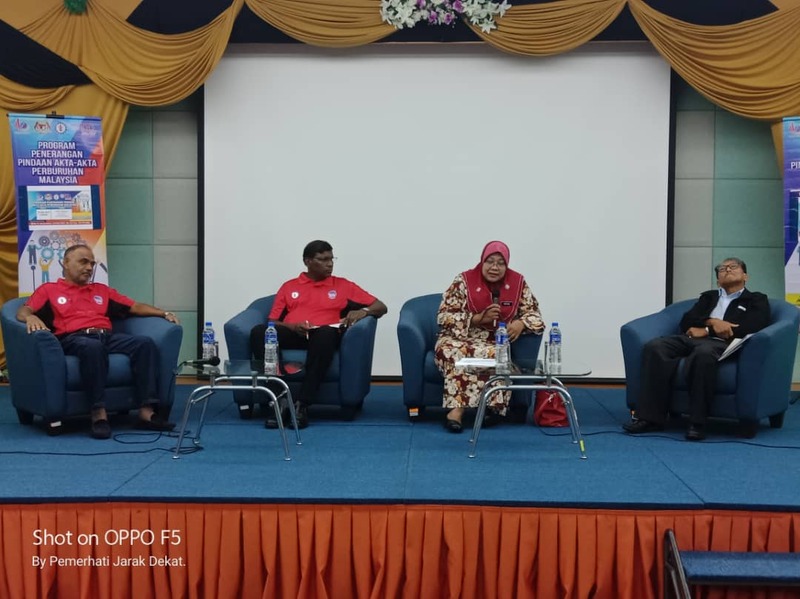 Among the invited representatives and panelists at the program were Tuan Mansor Ibrahim, Senior Consultant MEF Kuantan, Mrs. Mariam Bte Mohd Nor, Policy Division, Ministry of Human Resources and Bro K Soma, MTUC’s Assistant Secretary as the third panelist. 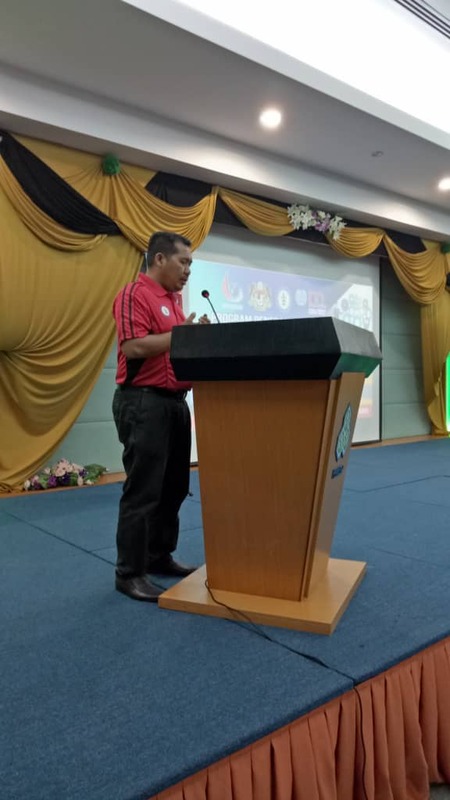 Moderator in the panel discussion is Bro Bosco, Johor Division MTUC Secretary. 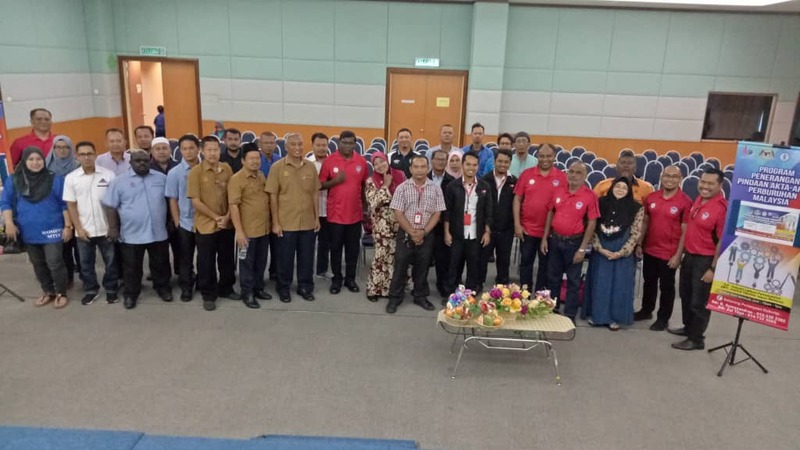 Among those present were Bro Effendy, the MTUC Finance Secretary representing the President and the Secretary-General who was unable to attend due to other urgent matters, Bro Raghwan of the ILO and nearly 30 affiliated union members from various sectors. 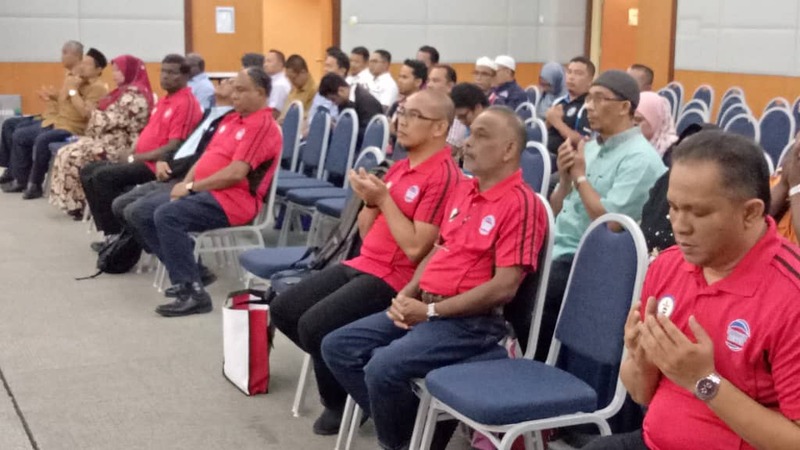 The program was successful as a result of the cooperation of the Task Force, namely Bro Rudy, Bro Fitri,Bro Zul Thye and Bro Azli. The program was welcomed by the master of ceremony Bro Zul Thye, followed by Negaraku and Solidarity MTUC song. 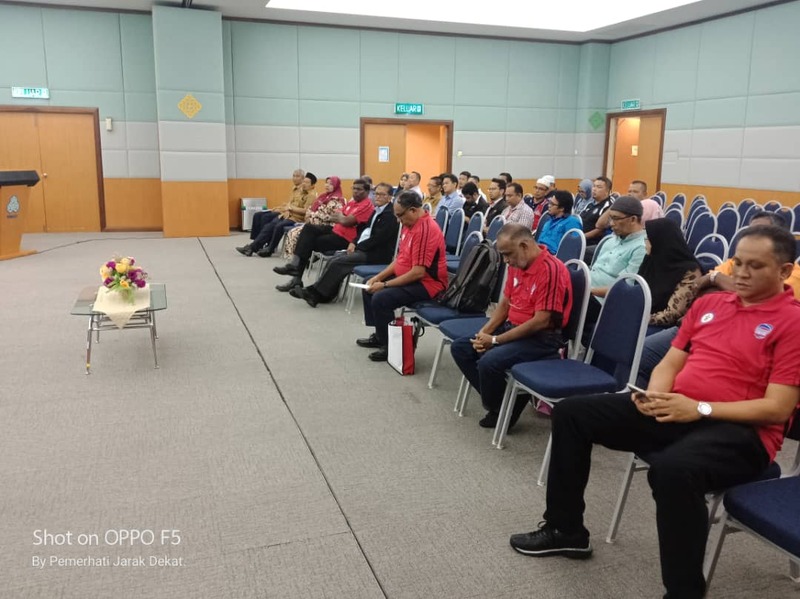 Subsequently the prayer reading were presented by Bro Azli and followed by montage performances during the course of the process of the Labour Law Reform. 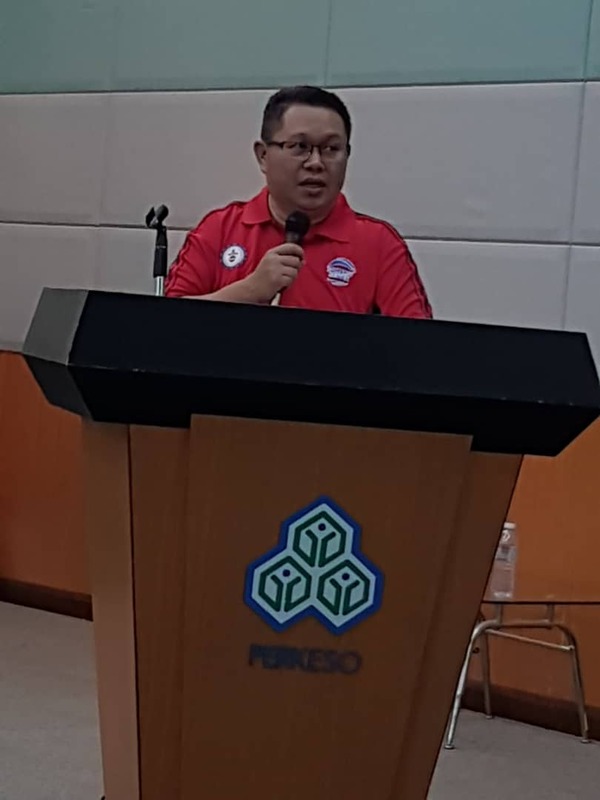 Bro Effendy, Finance Secretary started his speech by thanking all the audience. 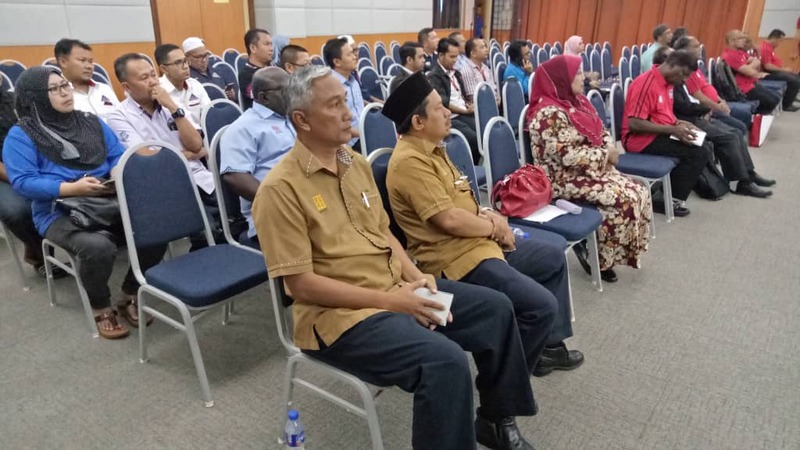 According to him, this is a third roadshow and the purpose of the roadshow is to ensure that all members of the union as well as the public understand what amendments have been made for the benefit of all employees. Hopefully this explanation will provide clear awareness and understanding to all. 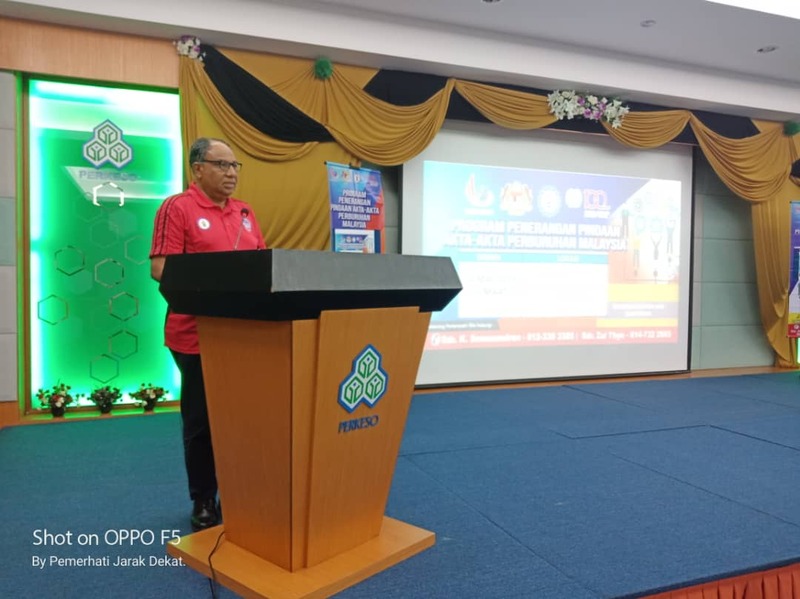 Bro Effendy hopes that all participants present at this program will be able to give their views and suggestions to reinforce the changes that will take place in the Industrial Relations Act 1967, the Employment Act 1955 and the Trade Unions Act 1959. 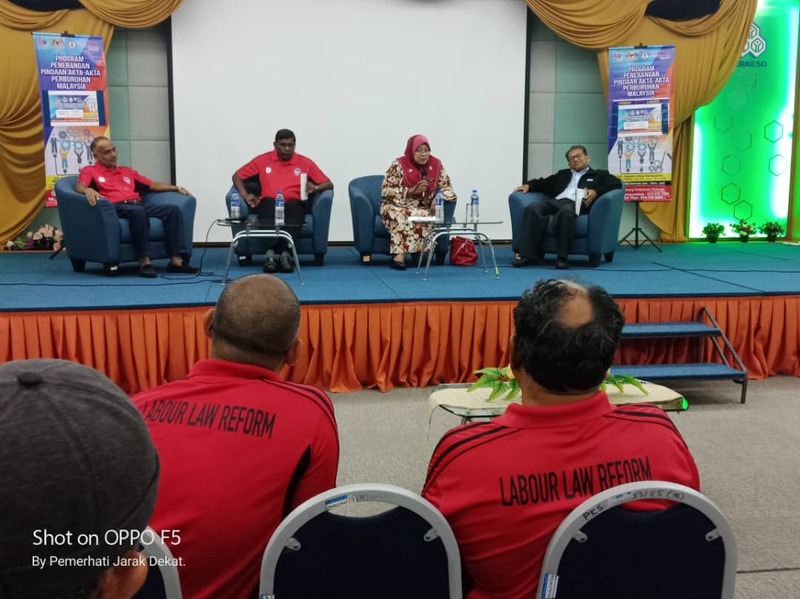 He also explained about C87 which we strive to enable the Government to ratify the convention by taking seriously the views of trade unions in the issue of multiplicity. 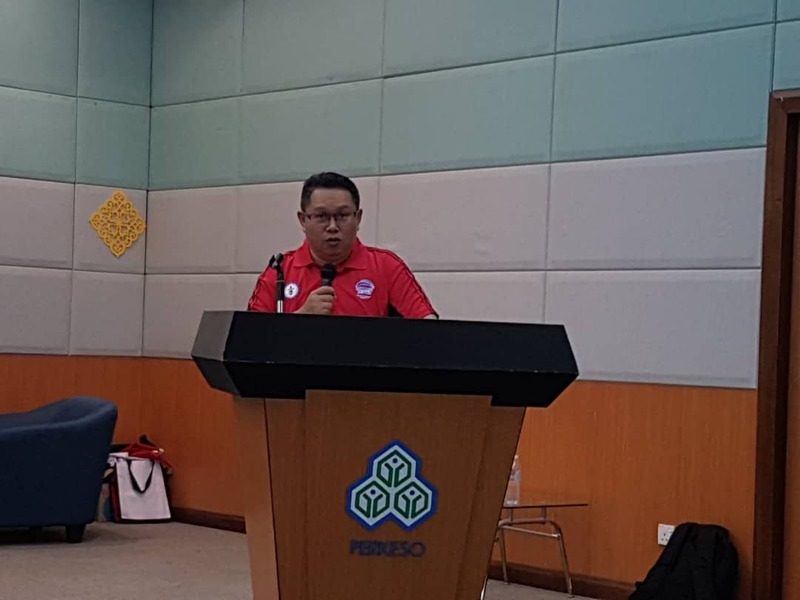 Bro Raghwan in his speech said that the ILO is willing to cooperate and will always cooperate in ensuring that the process of the labour law reform will not only benefit one party but will benefit all the stake holders. 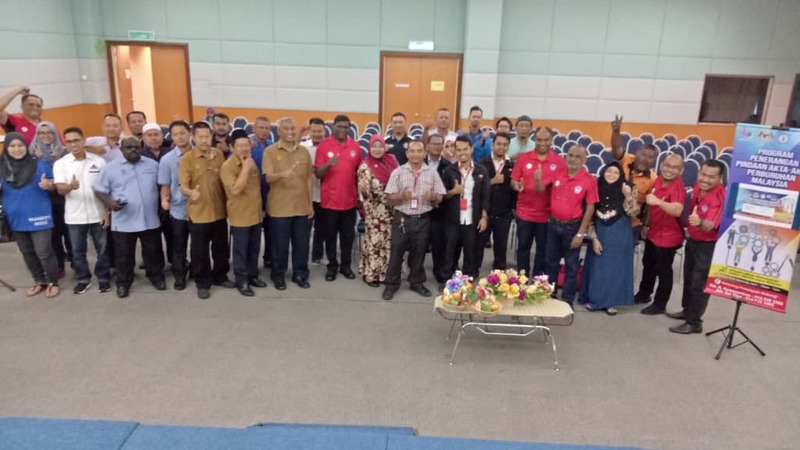 He reminded all the attendees especially the union members to eliminate the fears that surrounded within each other. It is time for all unions to unite and ensure that the agenda of amendment or renewal of the law can be understood and done successfully. The program continued healthily with discussions between invited panelists.